Is Cheap Hosting for Wordpress Really Worth It? Is Cheap Hosting for WordPress Worth It? If you want cheap hosting for WordPress where reliability meets affordability, you’re not alone. WordPress supports 74.6 million sites and accounts for 18.9 percent of websites. No doubt that WordPress hosts are in fierce competition. However, a blogger’s choice would always depend on their budget. Every manager wants the technical features, or that of their company’s website, to be handled at pocket-friendly rates. You may have a great logo or a fantastic design, but a good WordPress hosting is the crown of it. Whether you are an entrepreneur, a Project manager, a content manager, a freelance writer or an everyday blogger, a lousy WordPress hosting would ruin your efforts. A great mission statement and a good story are great entities, but a lousy WordPress host will make all of that useless. With all these factors in perspective, every company hopes to get a WordPress hosting that would favor their spending. Choosing cheap hosting for WordPress is one of the most important decisions you would make and should be done carefully. Use the checklist below to get started. Most hosting companies will offer you free SSL certificates using let’s encrypt. Therefore, if the WordPress hosting company offering you a cheap hosting for WordPress does not have this on the list of their benefit–that’s no good deal. When choosing a WordPress host, refuse the temptation to just jump at just any offer. There is need to check out their reviews and see how trusted they are. Their length of stay in the WordPress business is also a great assessment tool. It is safer to stay away from newbies. Security is a necessary ingredient when trying to pick out a WordPress hosting solution. Most cheap WordPress hosting solutions lack proper security measures. Lousy security measures compromise your blog or website. The user’s trust level reduces when your site is spam-link-infested. Pay attention to the security measures put in place by your choice company. You want to avoid having a hacked website or ads that have nothing to with your brand. Nobody enjoys using a slow site, everyone wants the fastest web hosting possible for their budget. A slow site will drive users away, hence the importance of checking out the speed of a cheap hosting WordPress before subscribing. Use a WordPress host that incorporates caching. Caching improves your site speed. How responsive is their support? Most companies that provide cheap hosting for WordPress do not give fluid support. You want a host that offers excellent customer support. Inmotion hosting is one of the best in the industry with a great support team and a trusted record of replying live chats requests under three minutes. They also take your phone calls and Skype calls promptly. They give free SSL certificates, and their hosting solutions are also speedy. Inmotion is certified by CNET and rated 3/3 on their star-rating. They provide a free SSD hosting, unlimited disk space, bandwidth, and a free domain name among many other benefits. Inmotion hosting has been in business since 2001, and their services are very reliable; with a 90-days-money-back guarantee. However, their loading speeds aren’t the best; hence they make an excellent choice for those whose websites aren’t particular about loading speeds. In addition to the low prices, Inmotion allows for two websites basic plans. Inmotion promises that you get professional service or your money back. With a support team that never disappoints, a supercacher tool for increased speeds and ease-of-use, it is no wonder that Siteground ranks as one of the best WordPress hosts. Experts have rated them 4.2/5 and users have testified that their reliability and pocket-friendly prices. They also provide free SSL certificates. It makes a good choice in every ramification for WordPress users. If you are particular about speed, you can opt for Siteground. When it comes to WordPress hosting, Bluehost is one name that rings a bell. Their expert service from 1996 till date has earned them a recommendation on WordPress. Bluehost ranks as one of the cheapest WordPress host and is very good for beginners. They have an unbelievably affordable price list. You can start with them for as low as $2.95 per month. They help in handling traffic efficiently and their support is reliable on a 24/7 basis. Bluehost provides free SSL certificates as well. If you’re looking to start cheap, but scale up with time, then you want to go with 1and1. 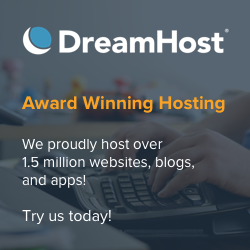 You could get your first year for a ridiculous $11 including hosting and free domain name. It won’t remain this way though. After your first year, you’ll be paying in the neighborhood of $9 per month for hosting alone, and would be required to renew your domain name too. If you don’t mind the price hike after your first year, then 1and1 is a good fit for you. A lot of cheap hosting for WordPress usually comes with hidden costs, laxity in security and other associated risks. Hence, it is important to know what you get by subscribing to a web hosting; including their terms and conditions. A thorough market research will help you avoid the dangers of using the wrong hosting for your WordPress. The information offered in this article is to help you narrow down your choices to the WordPress hosting which meets your needs best. It is essential to understand what your brand needs for a start, before seeking a WordPress hosting solution. Getting a good WordPress hosting within your budget demands lot of attention to detail. It can go on to affect both your brand name and brand image. If you are currently on a WordPress hosting that costs a lot and does not suit your needs, all you need to do is switch WordPress hosting solutions. 2UWebHosting gives you relevant advice on your web hosting needs, including getting cheap hosting for WordPress. You can visit them here to learn what works for you.